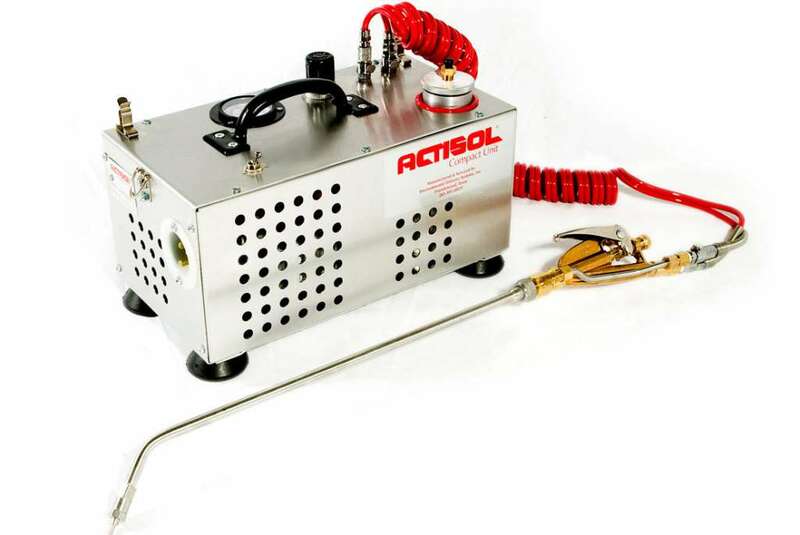 The Actisol® Compact Unit mixes a low volume of insecticide with a high volume of air, atomizing the mixture in a special nozzle. The atomization nozzle produces a high proportion of ideally-sized insecticide particles in a continuous high volume air stream. The aerosol penetrates further to reach target insects in the most hidden recesses of cracks, crevices, and voids. 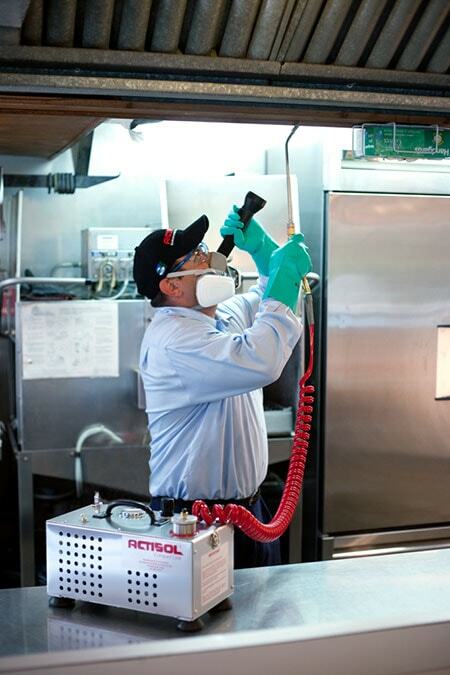 This improved penetration is DEEP HARBORAGE pest control. 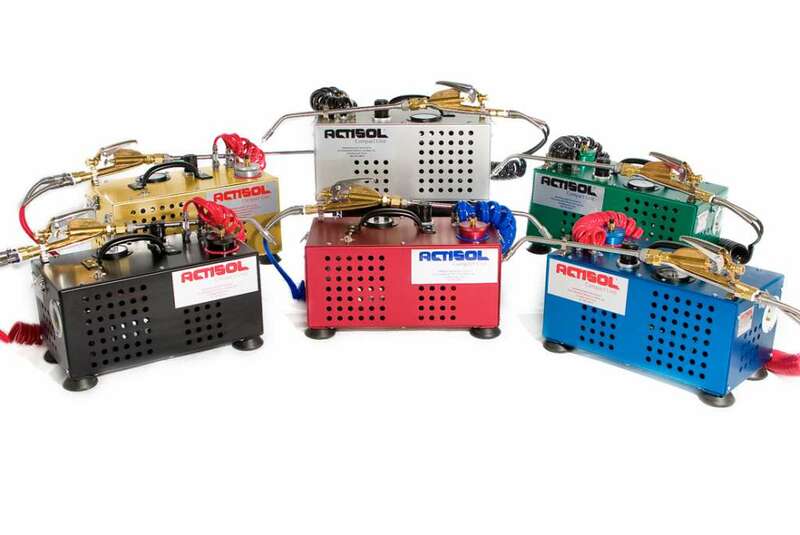 All Actisol® Compact Units are available with special Anodized Treatment. Cost – A lower initial finishing cost combines with lower maintenance costs for greater long-term value. 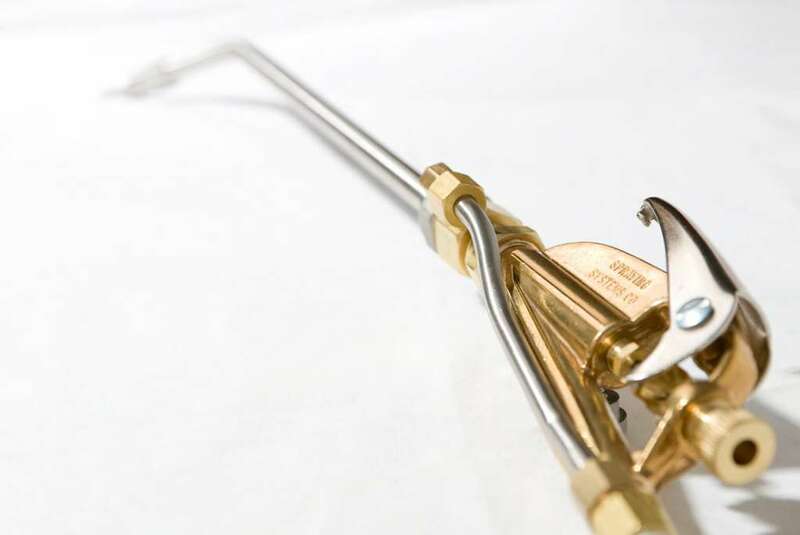 Health and Safety – Anodizing is a safe process that is not harmful to human health. An anodized finish is chemically stable, will not decompose; is non-toxic; and is heat-resistant to the melting point of aluminum (1,221 degrees F.) Since the anodizing process is a reinforcement of a naturally occurring oxide process, it is non-hazardous and produces no harmful or dangerous by-products. Ease of Maintenance – Scars and wear from fabrication, handling, installation, frequent surface dirt cleaning and usage are virtually nonexistent. Rinsing or mild soap and water cleaning usually will restore an anodized surface to its original appearance. Mild abrasive cleaners can be used for more difficult deposits. Durability – Most anodized products have an extremely long life span and offer significant economic advantages through maintenance and operating savings. Anodizing is a reacted finish that is integrated with the underlying aluminum for total bonding and unmatched adhesion. Aesthetics – Anodizing offers a large increasing number of gloss and color alternatives and minimizes or eliminates color variations. Unlike other finishes, anodizing allows the aluminum to maintain its metallic appearance. Color Stability – Exterior anodic coatings provide good stability to ultraviolet rays, do not chip or peel, and are easily repeatable. Do not use gasoline powered equipment in grain mills, flour mills, grain storage, or grain processing areas. Grain/Flour dust may be highly explosive. Electric powered units must be certified as explosion proof for these sites. Check with manufacturers for details on certification. 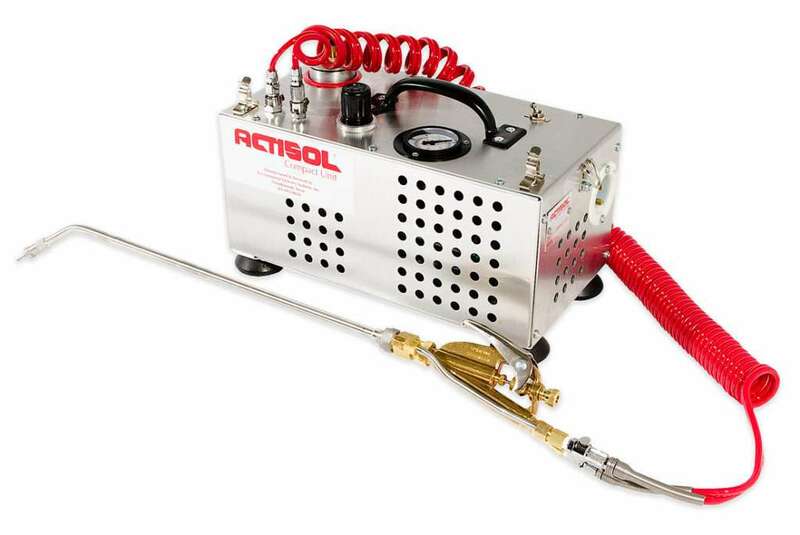 I've worked with these units since 1994, Actisol Mfg has greatly improved their ULV Units...and it really defines "Pest Elimination" -vs- "Pest Control"
The unit is excellent as always. Customer service was excellent as well thank u. My Actisol has saved me hundreds this year on my chemical costs. Would highly recommend. This unit’s a must for any commercial kitchen accounts. Not only does it look very professional, it is very effective in flushing those difficult German Roaches out of every crack and crevice. You will see the savings in pesticides and regular aerosol cans. It’s worth the investment! 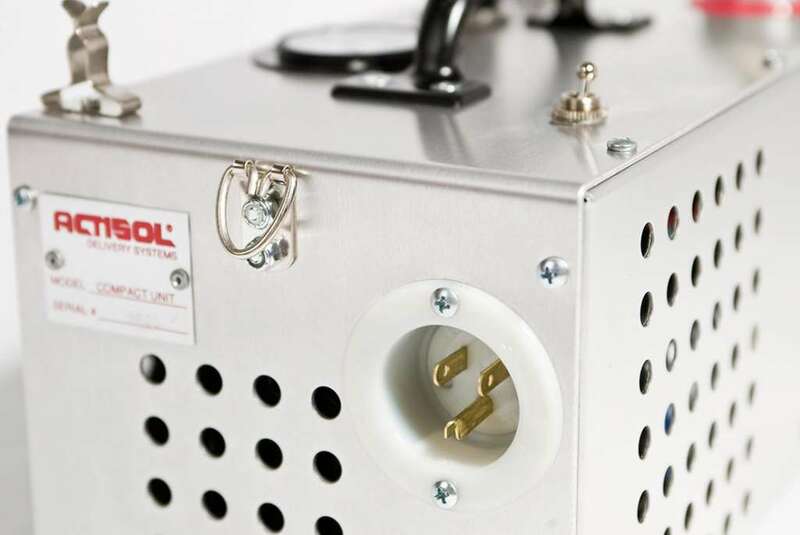 This unit is a definite must for those heavy infestations in both commercial and residential accounts. Easy to use, it's a mean machine that will pay for itself over time. No more using aerosols that waste time and money on insecticides that cannot get to the "source" of the infestation inside wall voids and other deep harborage areas. Great little unit! 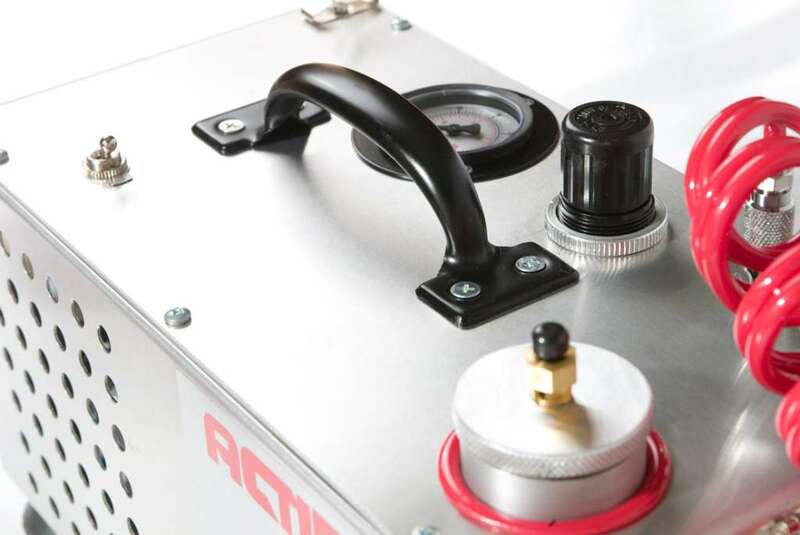 Available with anodized tank and chassis for protection when using water based formulations.